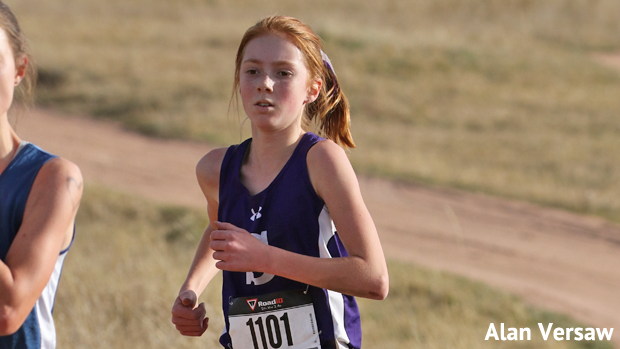 Salida's Fern Clark emerged as one of 3A's top freshmen this year. 2017 was all Peak to Peak. Although the Peak to Peak varsity didn't take the course all that often in 2017, they dominated all things 3A when they did. Steamboat Springs took second at the state meet, but the Sailors will be moving on to 4A in 2018. The Classical Academy, Holy Family, Alamosa, Elizabeth, and D'Evelyn formed a relatively tight cluster behind Peak to Peak and Steamboat Springs. To check out what the virtual meets say, take a quick detour here. To step through the accounts of the projected top teams for 2018, keep clicking on Next. We begin with Peak to Peak, this year's defending champion.